The Torres Chess and Music Academy is pleased to announce a three day Back to School Chess Camp designed to produce rapid improvement in your child’s chess abilities. 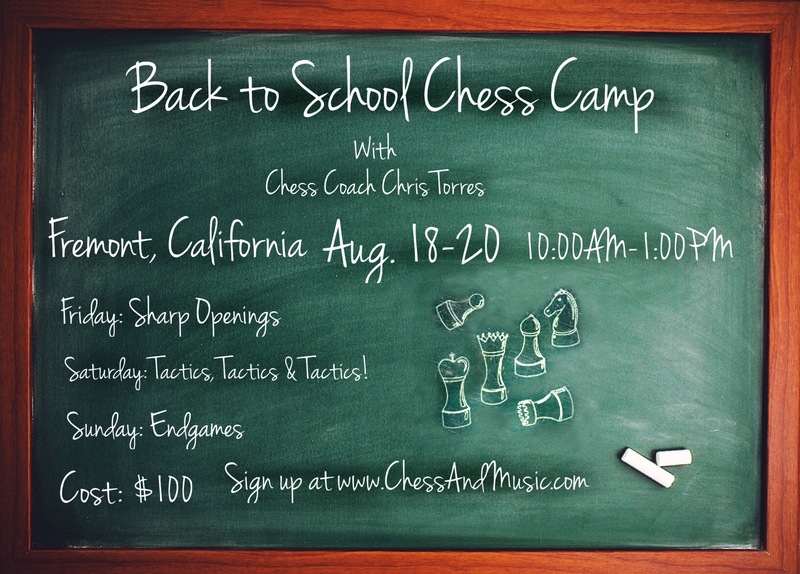 On Day one of our Back to School Chess Camp, Chris Torres will show your children illustrative games which demonstrate ultra-sharp opening play. On day two, your child will train hard to improve his/her tactical abilities by solving puzzles and taking part in group exercises that are guaranteed to produce noticeable results. 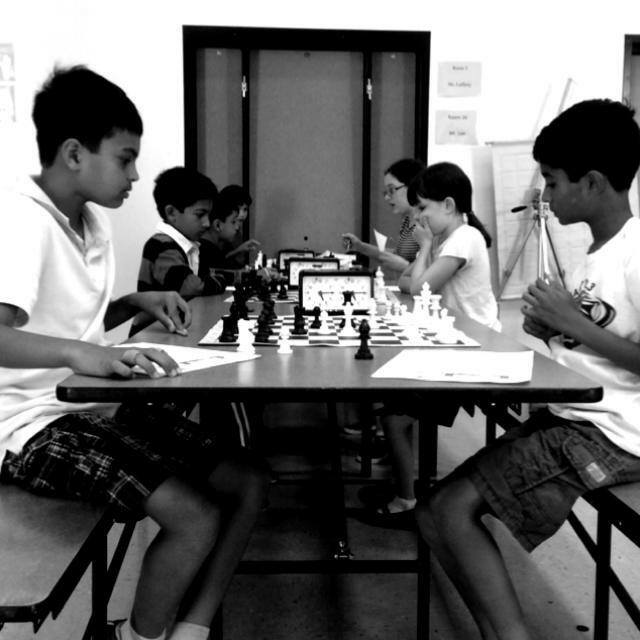 On the final day of camp, all students will be shown time tested endgame positions that will quickly improve your child’s strategy and confidence in the endgame. 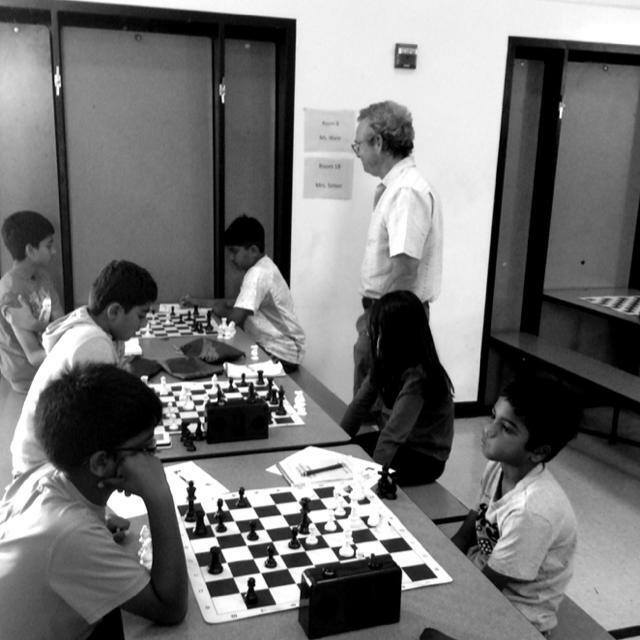 In addition to all the hands on learning, all camp participants will also take part in a USCF rated chess tournament that includes game analysis and prizes. This camp is limited to only 20 student on a first come first serve registration basis. The fees for this chess program are nonrefundable after the class has begun. No refunds will be given for unscheduled student absences. 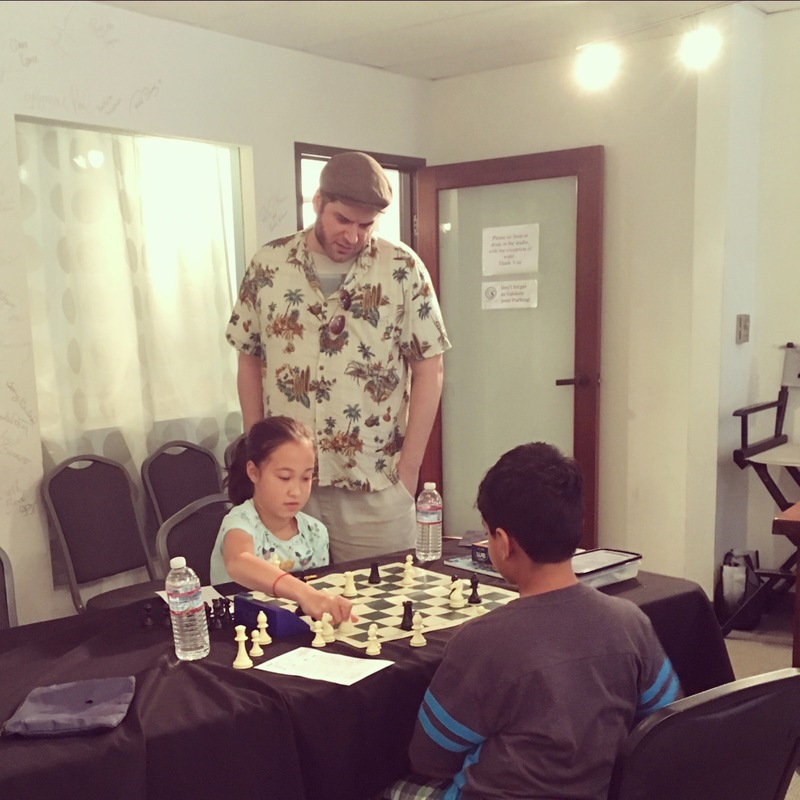 To this chess coach, Summer Fun in California means exciting chess camps every week of the summer. 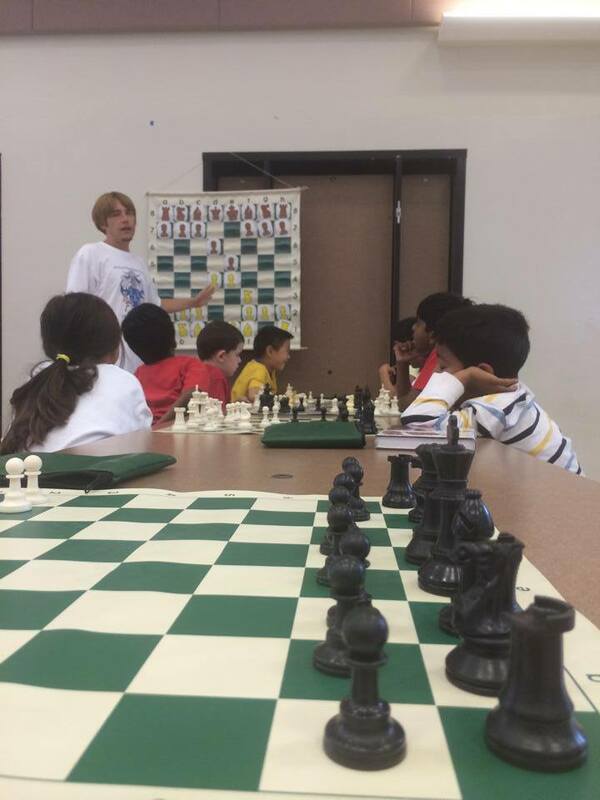 With chess classes planned every day from Memorial Day to Labor Day, I organize events for young chess players of all skill levels, including classes with great chess teachers, rated tournaments, chess simuls against grandmasters, chess book talks with famous authors and fun blitz games against coaches. The fun continues through Labor Day leaving just enough time to prepare for my fall schedule of after school programs. 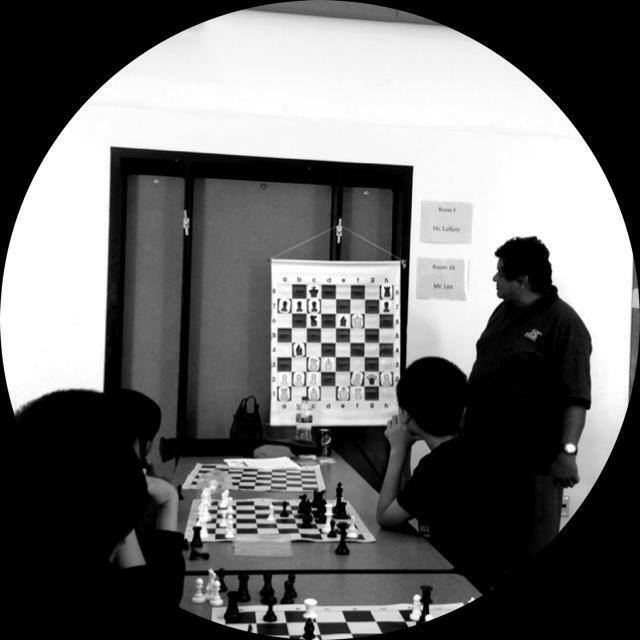 My first summer chess camp in 2017. 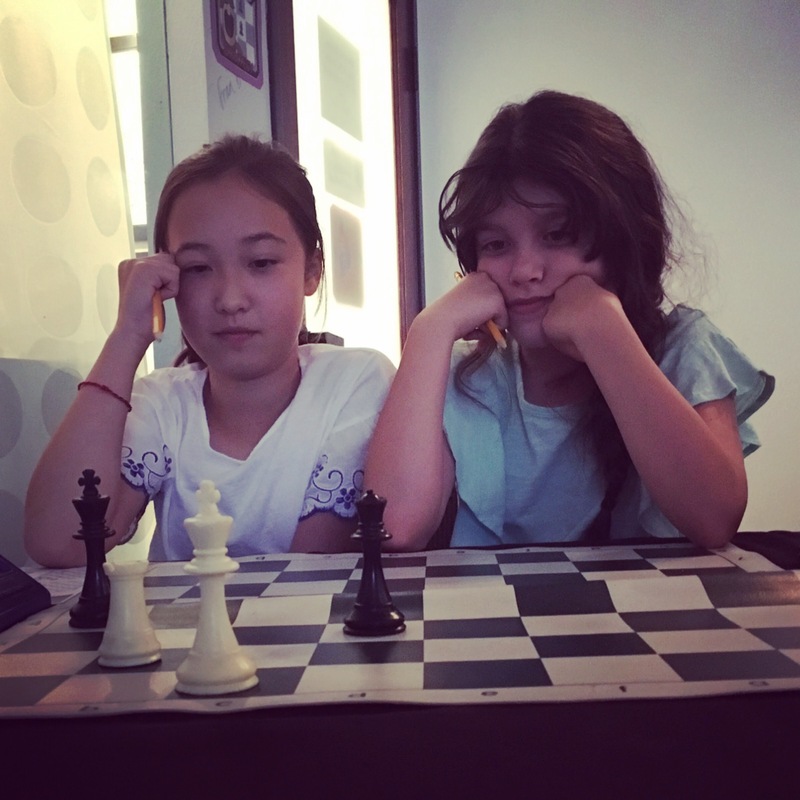 Two girls spending their summer studying chess. 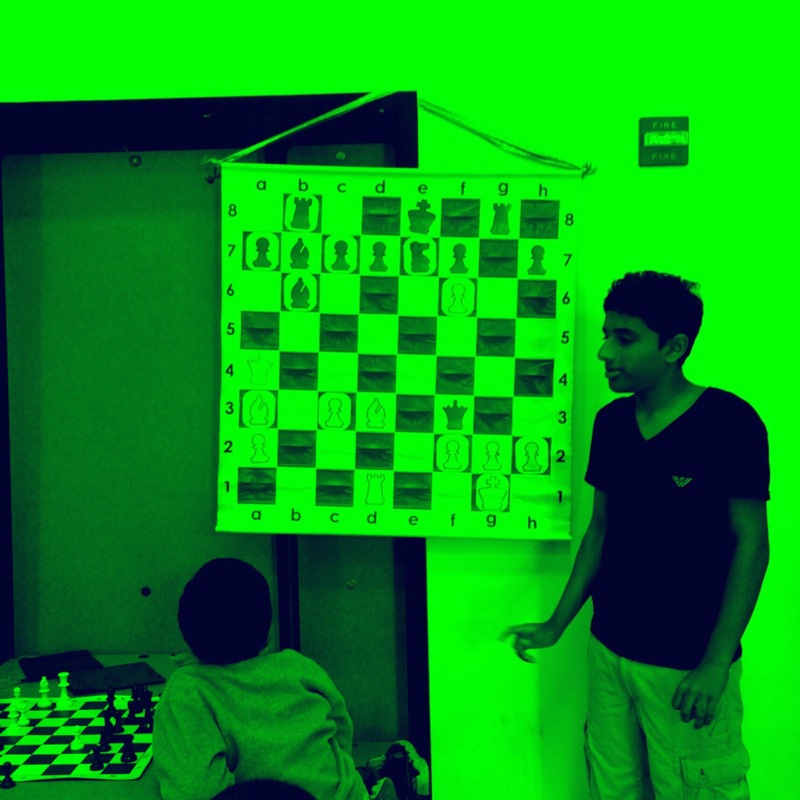 A confident young man demonstrates his solution at summer chess camp. 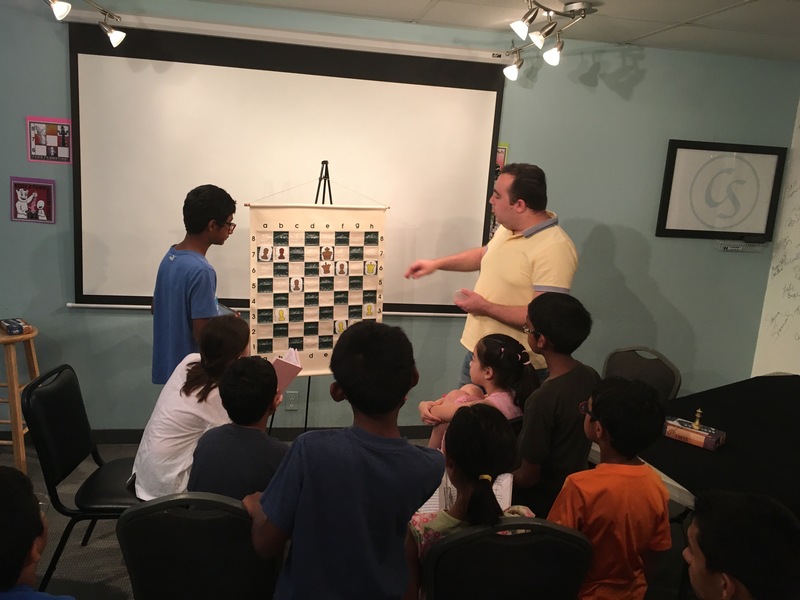 Students were all ears when Grandmaster Tigran Petrosian taught strategy at our summer chess camp. 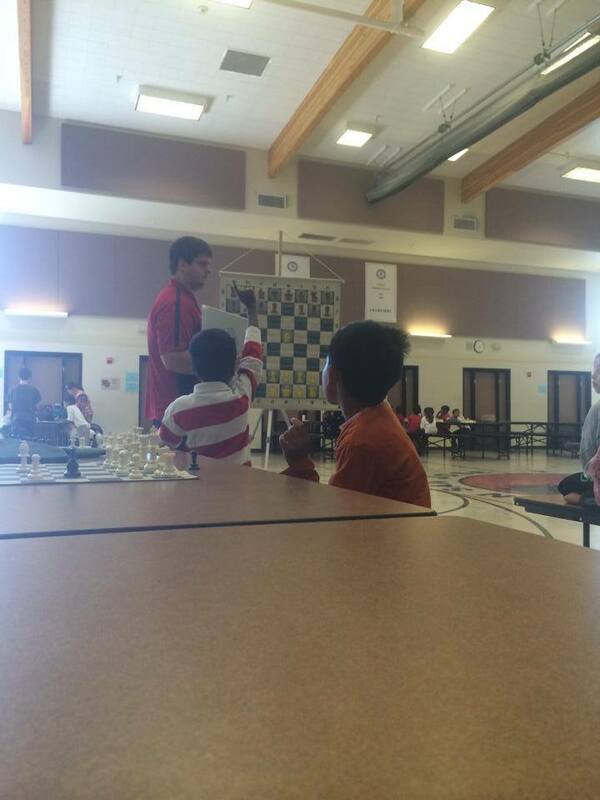 Chris Torres watches students play at summer chess camp. IM Armen Ambartsoumian starts our summer chess camp match. 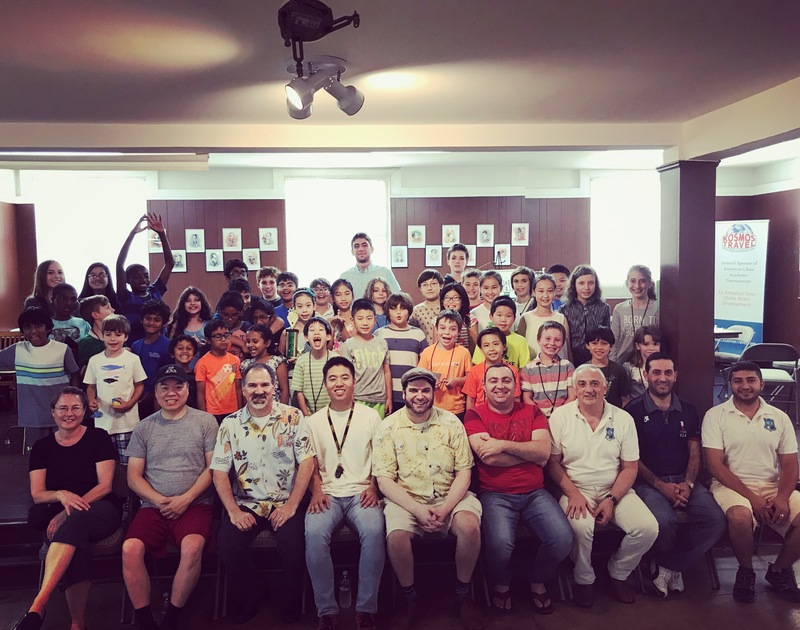 Sitting with GM Tigran Petrosian and Jay Stallings for our summer chess camp group photo. 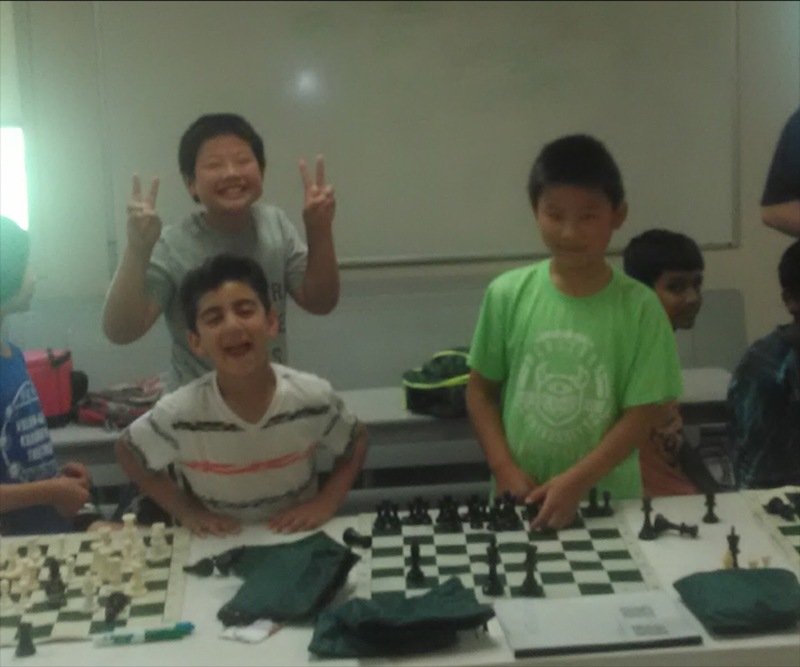 Some young guys happy for another lesson at summer chess camp. So many happy students and coaches on the final day of summer chess camp. 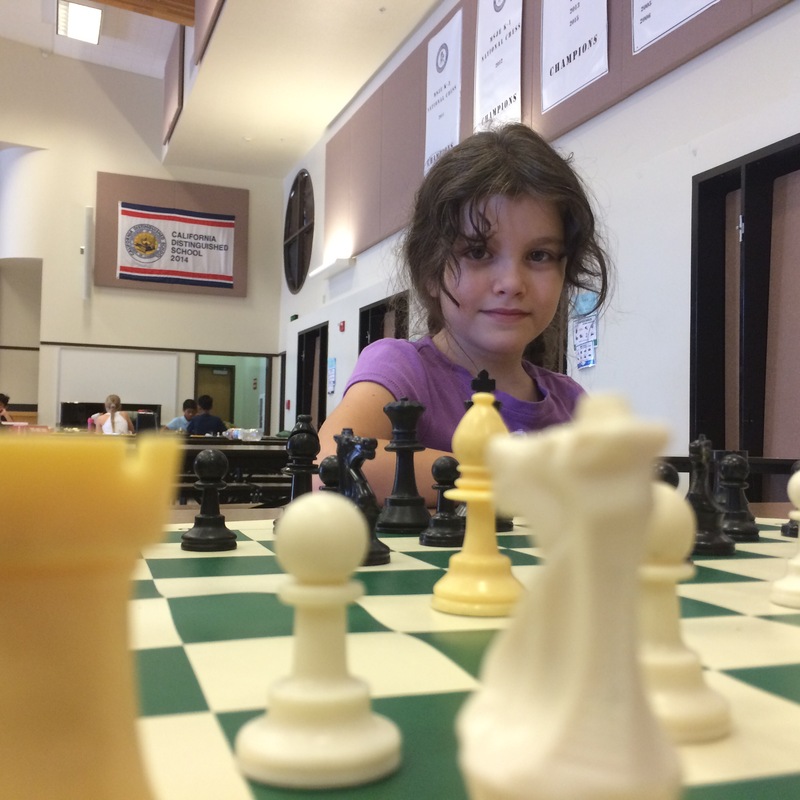 The Fremont Summer Chess Camp at MSJE has been serving Northern California’s youth chess players every summer since 2008. 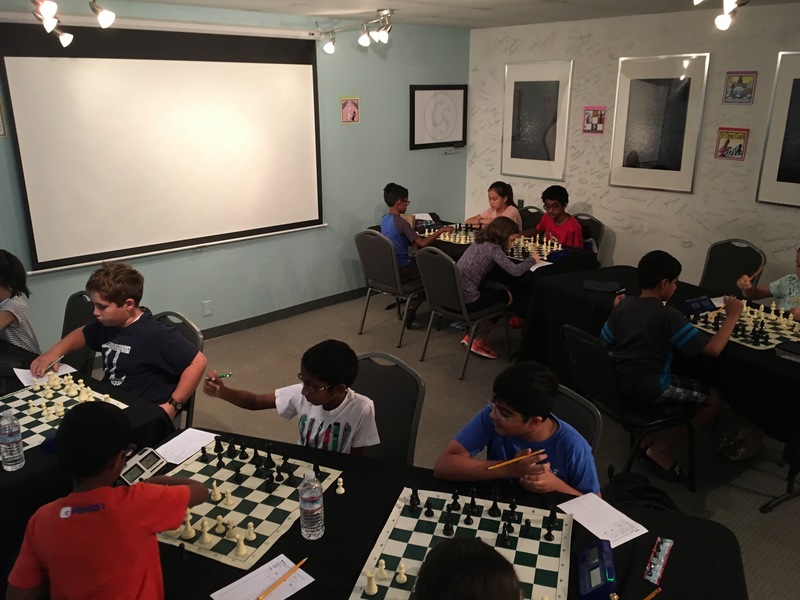 A true leader in chess education, the Fremont Summer Chess Camp at MSJE has helped to create multiple National Championship school teams as well as scores of individual state and national champion players. Students learn more when they are having fun. 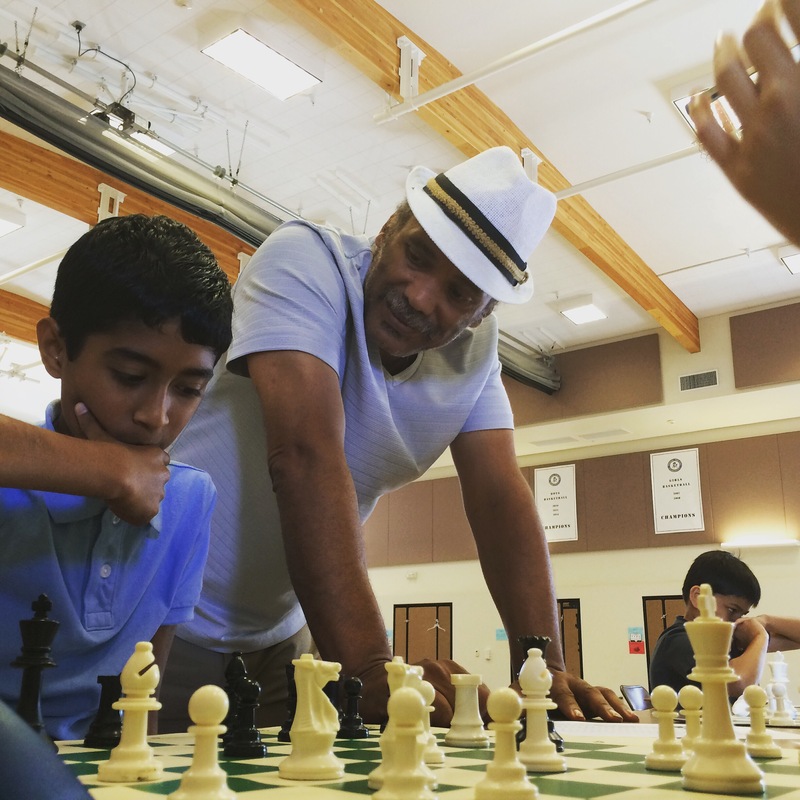 Your child will appreciate the opportunity to connect everyday with a coach who has decades of experience motivating young chess players to reach their goals in chess. Beyond chess, we always plan several special events on site. In the past, this has included fun concerts, performances by magicians and a large cat show! 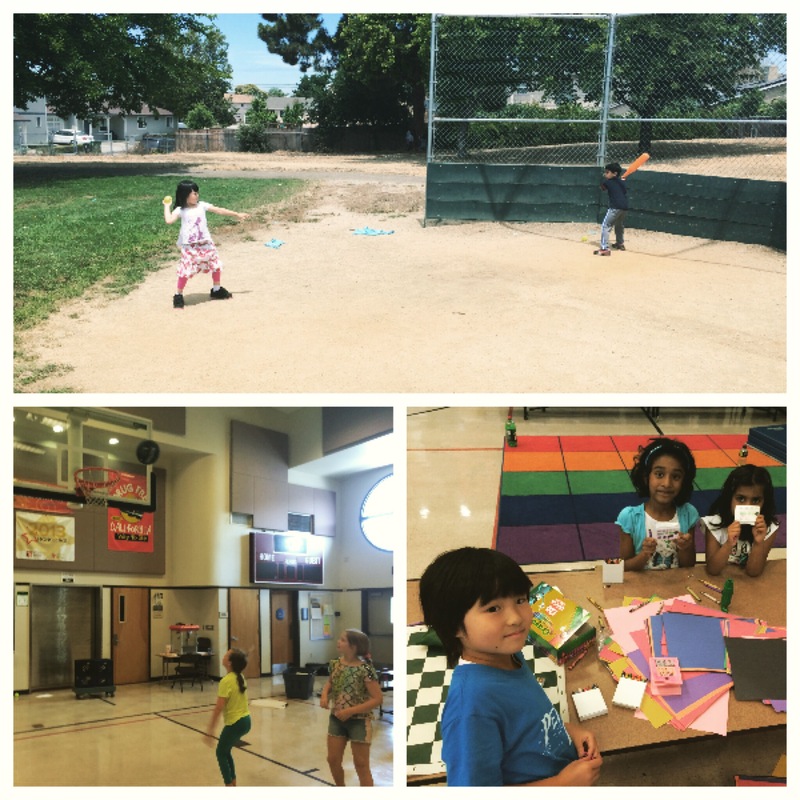 Not to be overlooked is access to art stations, basketball courts and baseball diamonds at our supervised recesses. 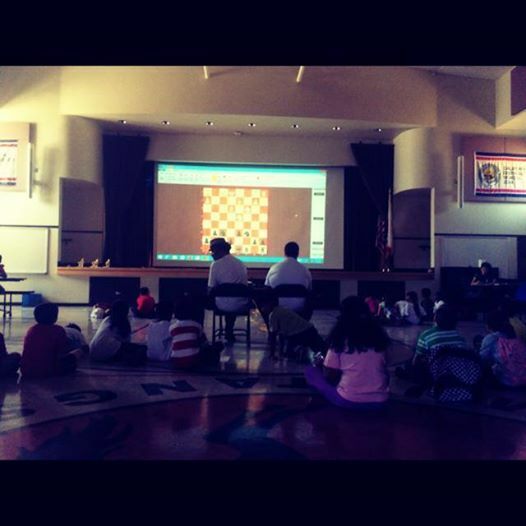 All of these extras help to make the Fremont Summer Chess Camp at MSJE a great place for your child to learn and play. 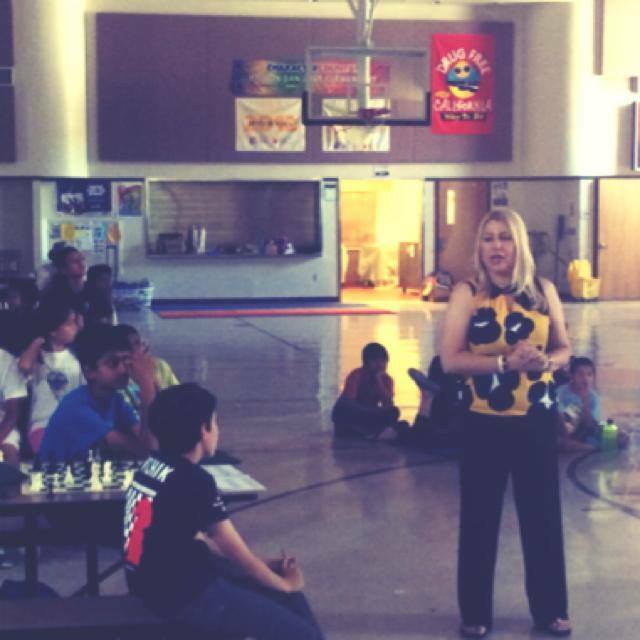 Come join GM Susan Polgar, FM Eric Schiller, Joe Lonsdale, Jay Stallings, James Paquette and Chris Torres at Mission San Jose Elementary School this summer for Northern California’s most popular youth chess camp. 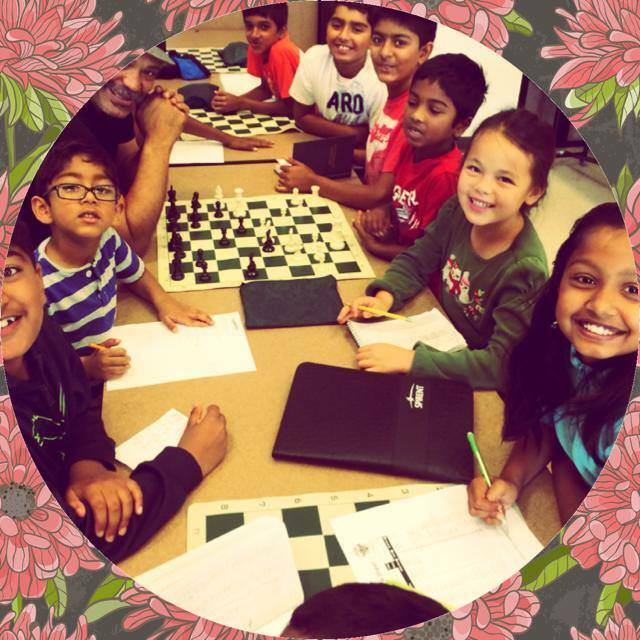 The Fremont Summer Chess Camp at MSJE begins July 5th so sign up today! 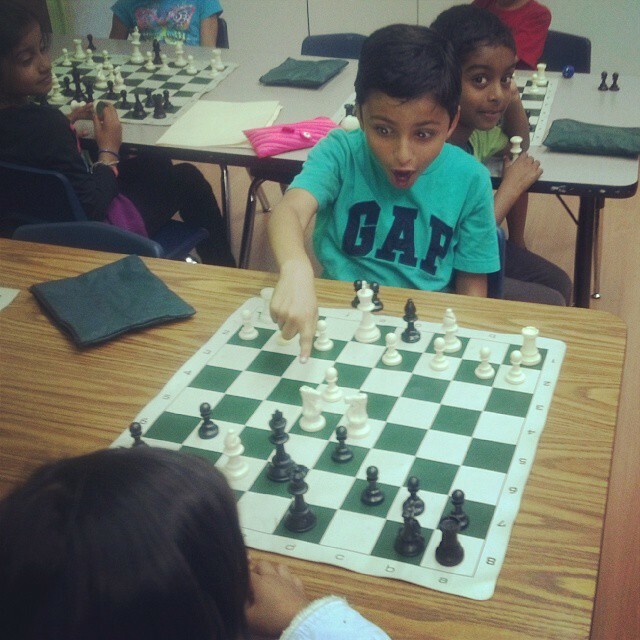 Ten days in and our campers continue to grow more enthusiastic about learning chess! 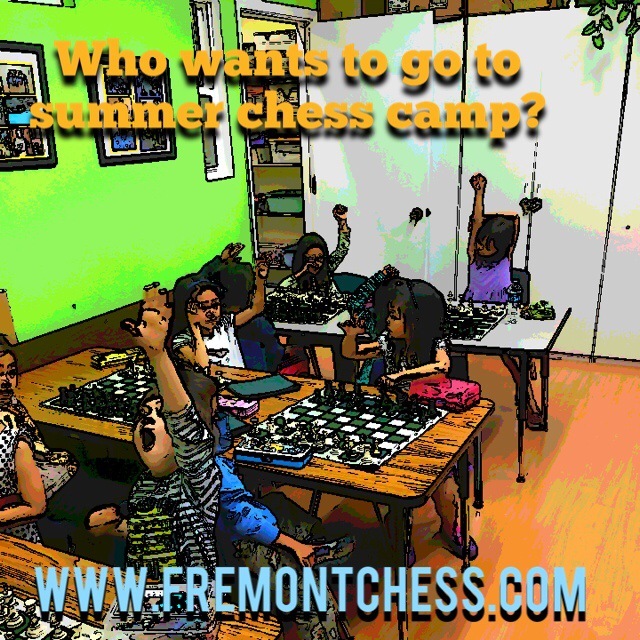 Click here to find out more information on the Fremont Summer Chess Camp and to register. 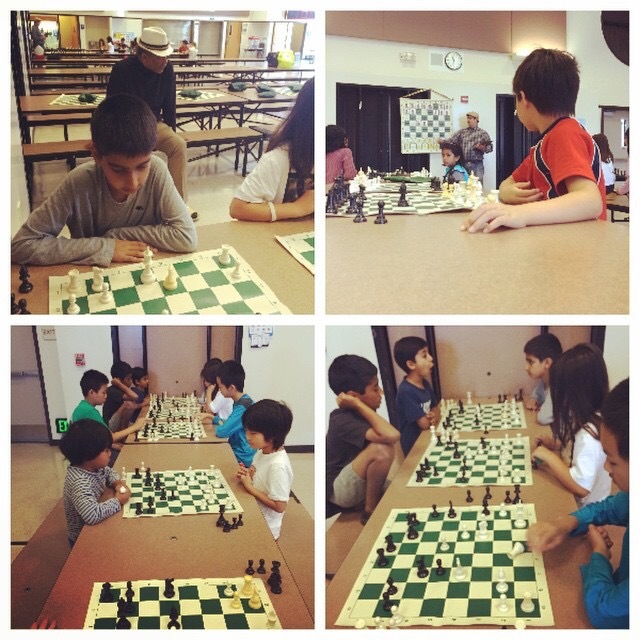 Below are photographs of my favorite moments from week four of the Fremont Summer Chess Camp. I wish to thank all of our students, coaches, Steve and Kate’s Camps, the Wild Cat Education and Conservation Fund and Grandmaster Susan Polgar. 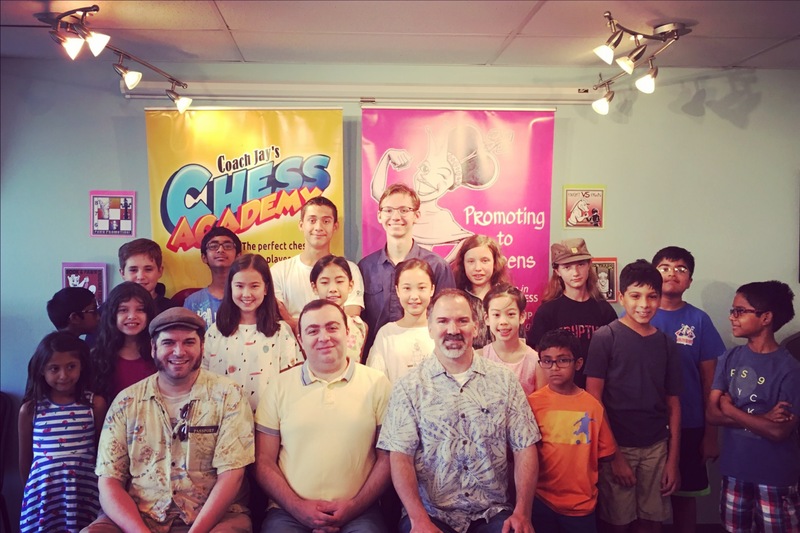 It takes a lot of great people to make the Fremont Summer Chess Camp as successful as it is and without these great groups and individuals many kids from Northern California would have missed out on an experience of a lifetime. Thanks to Coach Tans for doing a great job teaching our youngest campers. 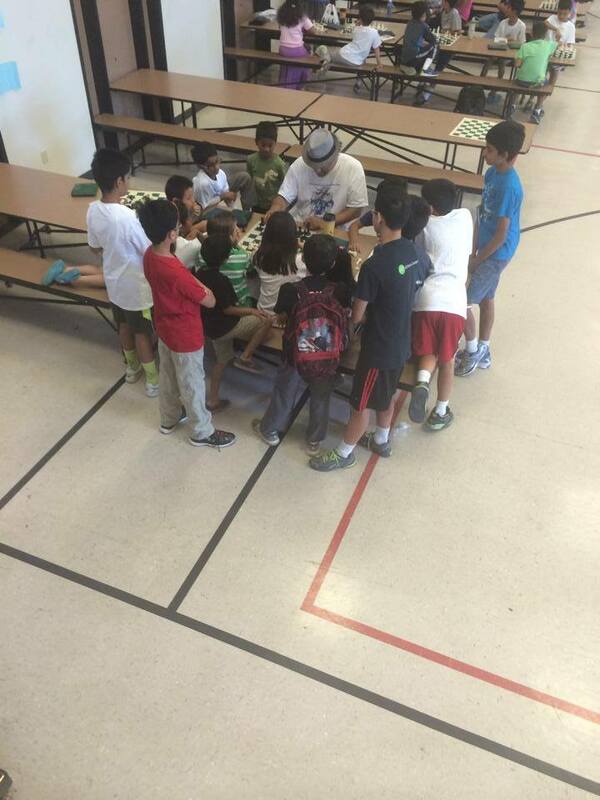 For four straight years, Coach Francisco has been teaching our campers confidence through attacking chess. International Master Emory Tate managed to greatly improve the chess skills of every child in the advanced group. 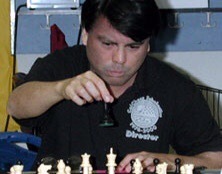 Coach James proved daily why he is the Director of Instruction for the Torres Chess and Music Academy. 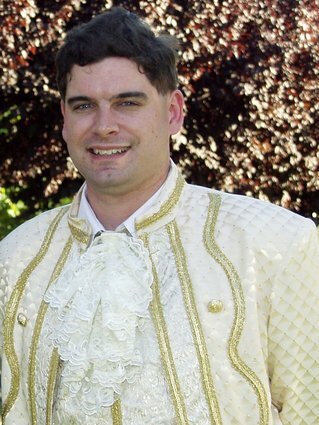 James Pacquette also managed the technological aspects of our Esteemed Guest Series. 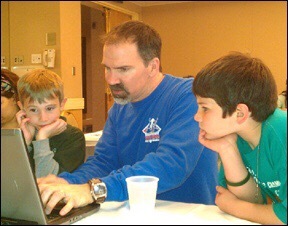 MSJE Head Coach Joe Lonsdale was always available to help kids review their USCF rated chess games. 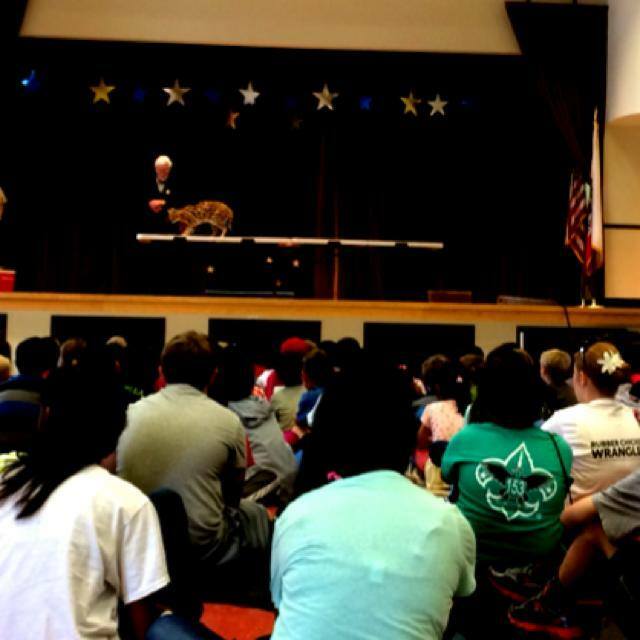 The Wild Cat Education and Conservation Fund put on a great show for our kids. Everyone in attendance will never forget the day Susan Polgar (The World’s Top Chess Trainer) challenged every mind in the room with an extremely thought provoking chess lesson. 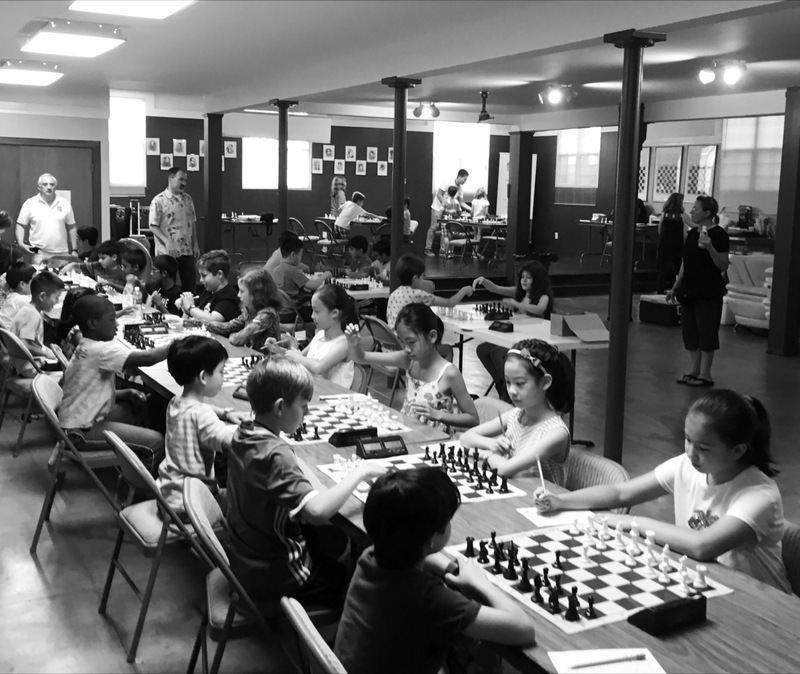 Most of all, it was all the awesome young chess players that made the 2014 Fremont Summer Chess Camp so fantastic. 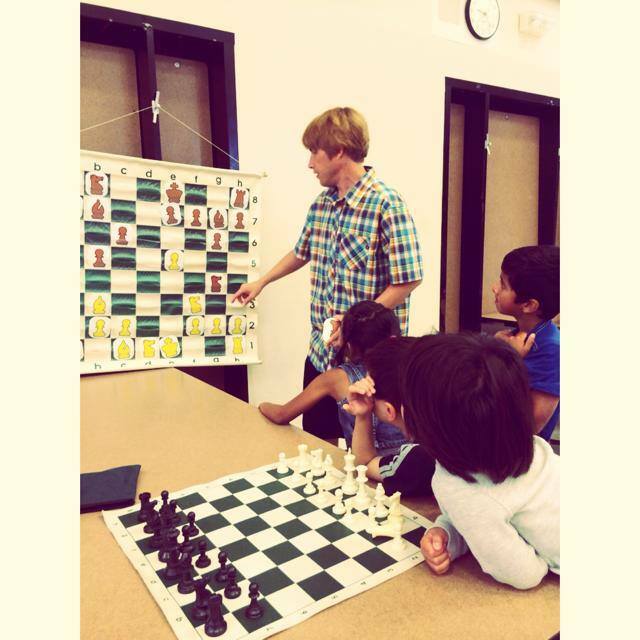 TCAMA Director of Instruction, James Paquette, teaches his students the secrets to Paul Morphy’s success. 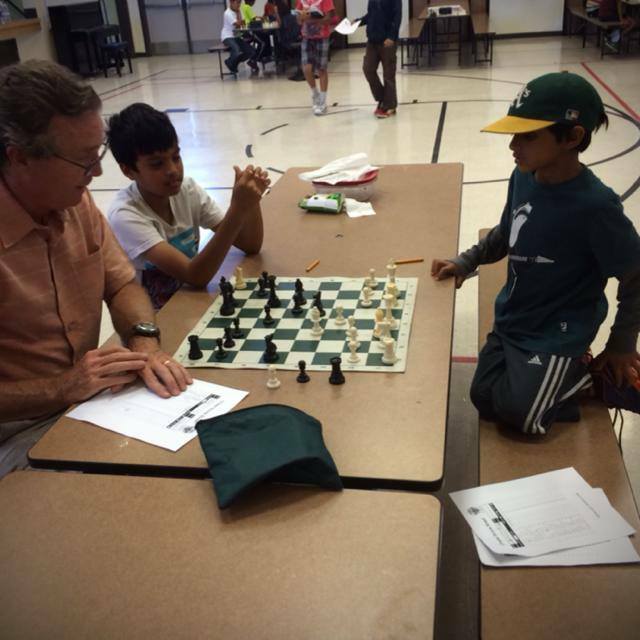 Tans Hylkema taught our youngest campers how to play chess and notate their moves. 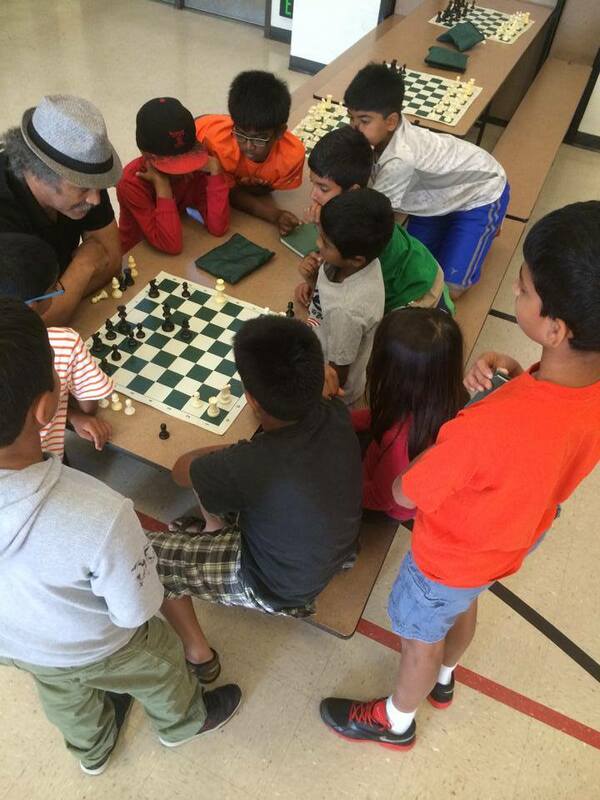 Students at the Fremont Summer Chess Camp were constantly challenged. 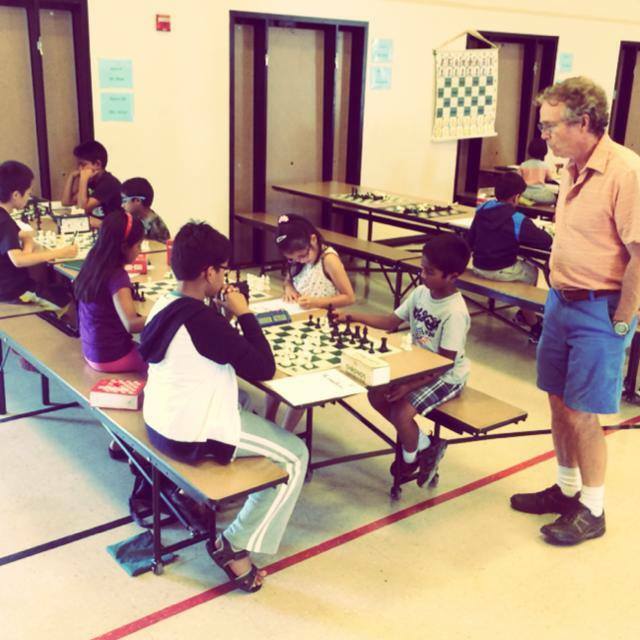 Joe Lonsdale has been overlooking chess games at MSJE for nearly thirty years! 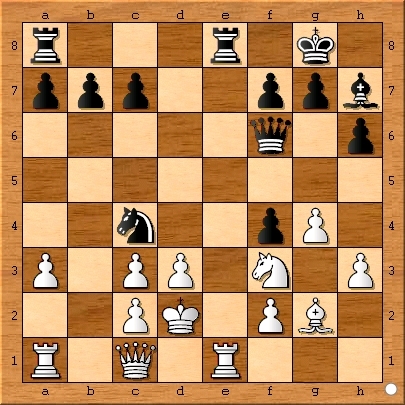 Francisco Anchondo teaches his students how to turn chess advantages into stunning combinations. 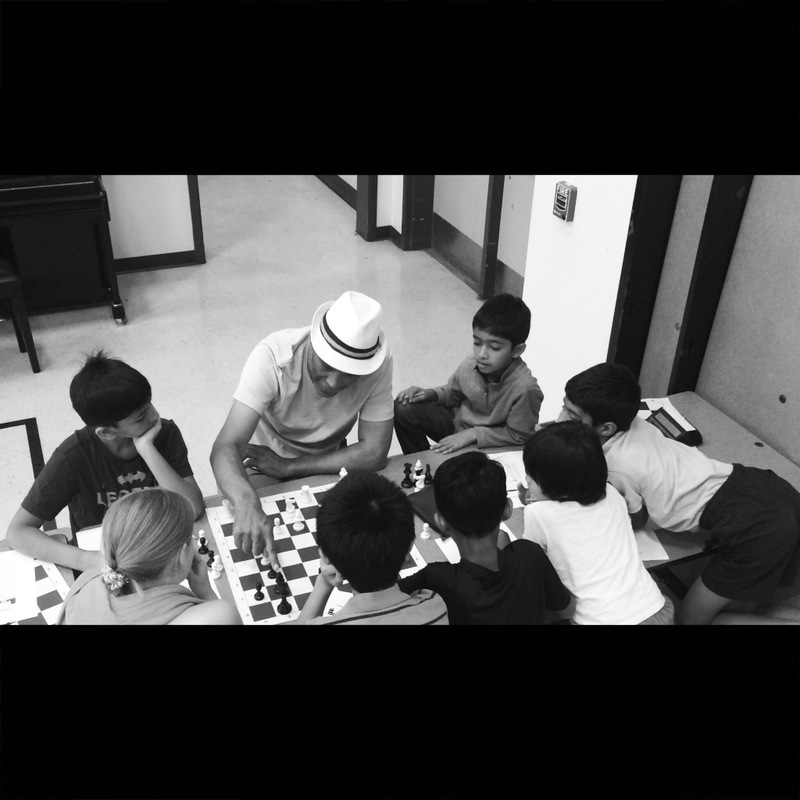 Our campers learn first hand why International Master Emory Tate is a chess teacher of the highest quality. After just one week, our youngest players understand the most important endgame positions. Every game played at our camp is turned into a custom lesson for the children who played it. All of our hard work pays off during the next school year. Who wants to go to the Fremont Summer Chess Camp? 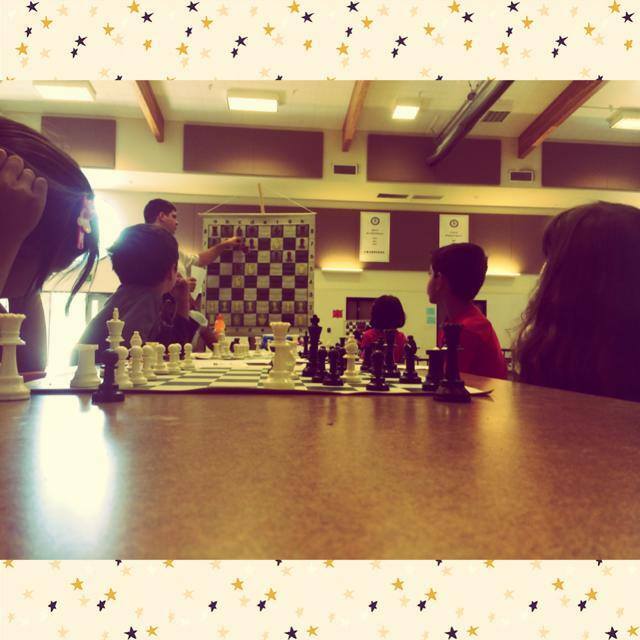 MSJE Head Coach, Joe Lonsdale, Provides a Brief Summary of Fremont’s Achievements At the 2014 National Elementary Chess Championships. 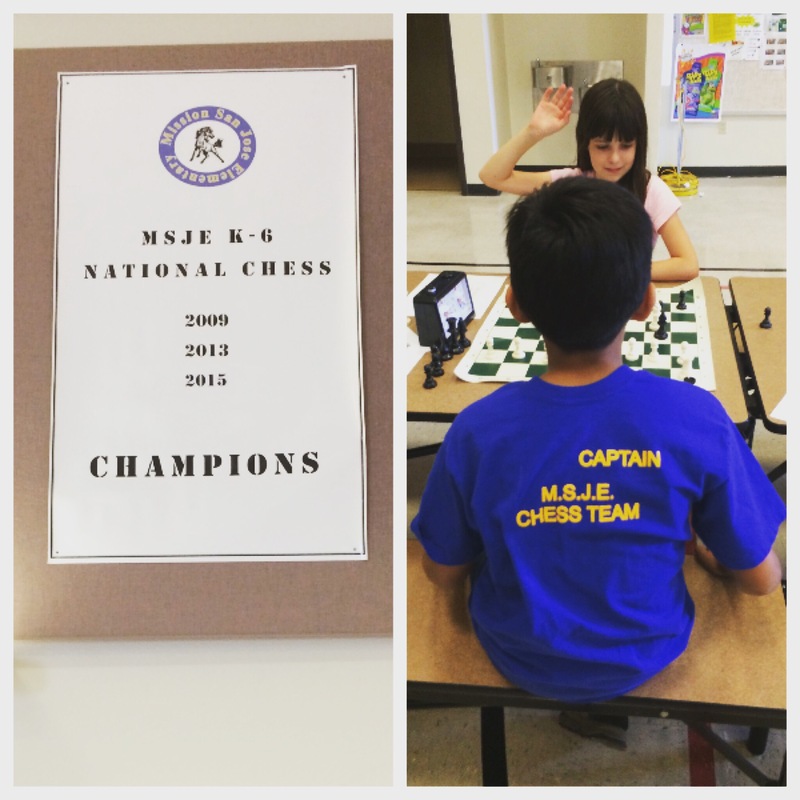 The MSJE Chess Team wins another National Championship! 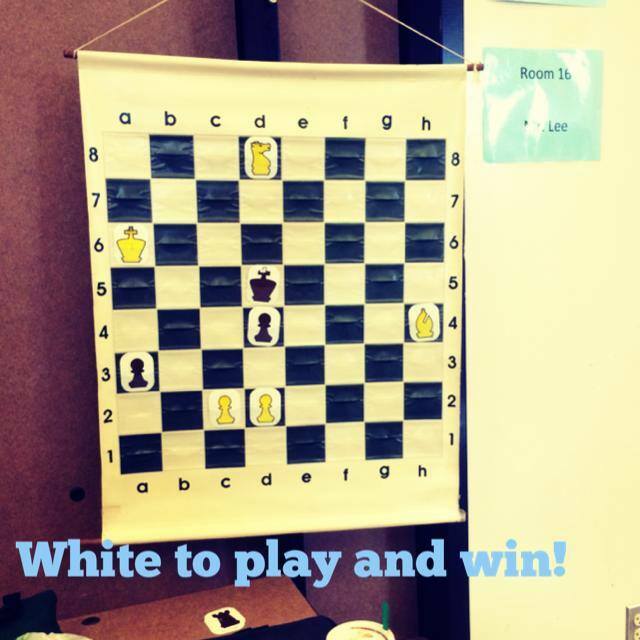 The 2014 National Elementary School Chess Championships were held the weekend of May 9th to 11th in Dallas, TX. More than 2,200 students from 107 schools competed in these championships. 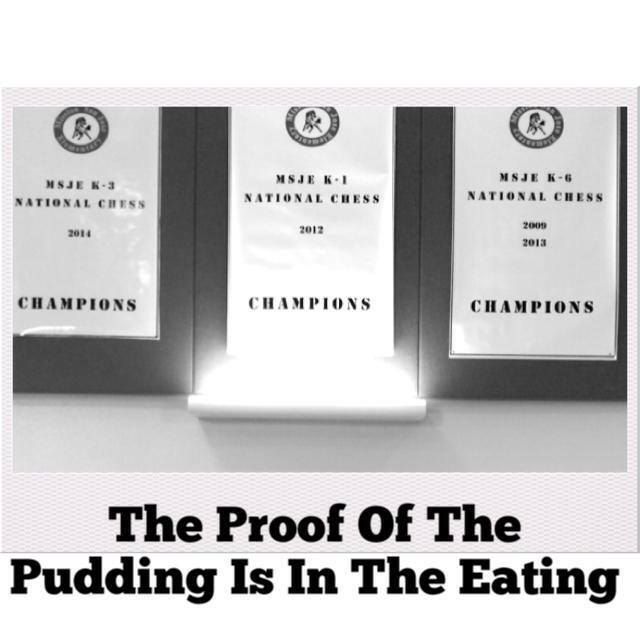 17 MSJE (Mission San Jose Elementary School, Fremont, CA) students attended these championships. MSJE won first place in the K-3 Championship section. The MSJE Chess team is the 2014 National Primary School Chess Champion. MSJE tied for fifth place in the K-1 section and tied for fourth place in the K-5 section. Gomes Elementary School, also of Fremont won the Elementary school (K -6) division. This is the second time in two years that two of the major elementary school sections were won by schools from Fremont, CA. Last year Gomes won K-5 and MSJE won K-6. In K-6 Joanna Liu and Jason Zhang each had five wins and a draw in seven games and tied for six place. 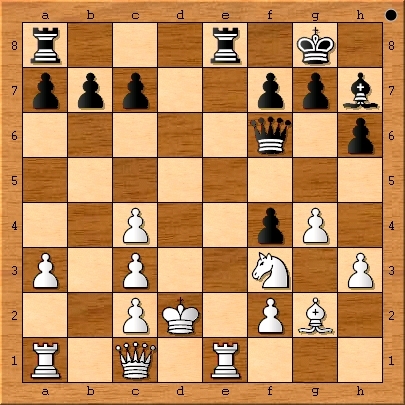 Ganesh Murugappan scored 5 points and William Sartorio scored 4.5 points. 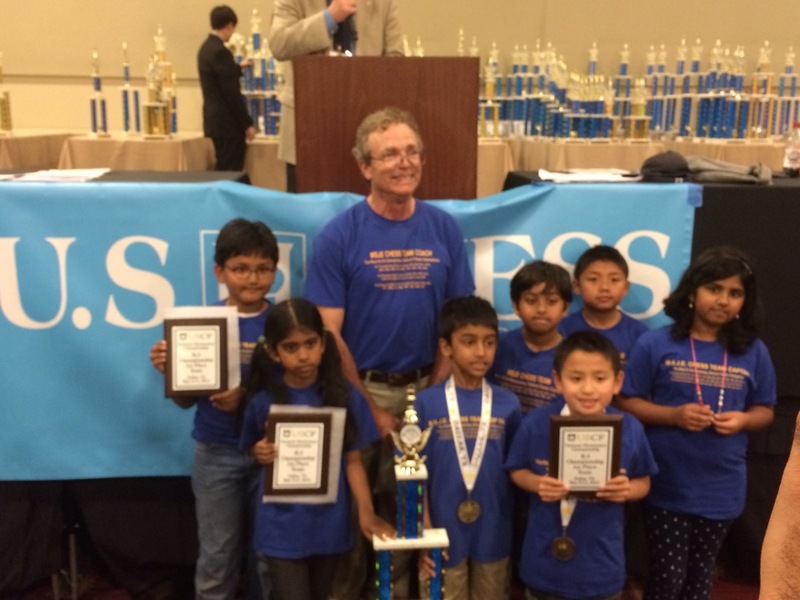 The Gomes Elementary team is now the National Elementary School Chess Champions. 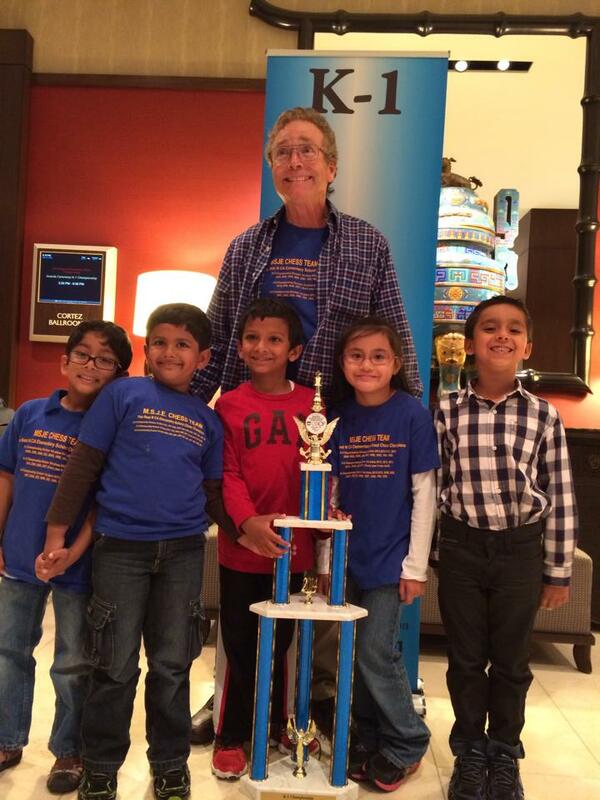 Coach Joe Lonsdale stands with the MSJE k-1 Chess Team. In the K-1 section Arnav Lingannagari was the top scorer for the MSJE team with five wins and a draw in seven games (5.5 points). Arnav tied for 12th place and won a large trophy. Allyson Wong scored five points, tied for 22nd place and won a large trophy. Shreyas Jay scored four points and Siddharth Arutla scored 3.5 points. Ayaan Kassamali and Jolene Liu also competed for our K-1 team. Shreyas, Siddharth, Ayaan, and Jolene all won trophies. The Final Standings in the K-3 Section at the 2014 USCF National Elementary Chess Championships. In the K-3 Section MSJE was the top rated team, but several teams from New York City were close behind. Rishith Susarla was our top rated player at 1701 and came in with the top score of 5.5 points tying for 7th place and winning a large trophy. Second grader Kevin Pan (1534) and Annapoorni Meiyappan (1508) each scored 5 points tied for 17th place and won large trophies. 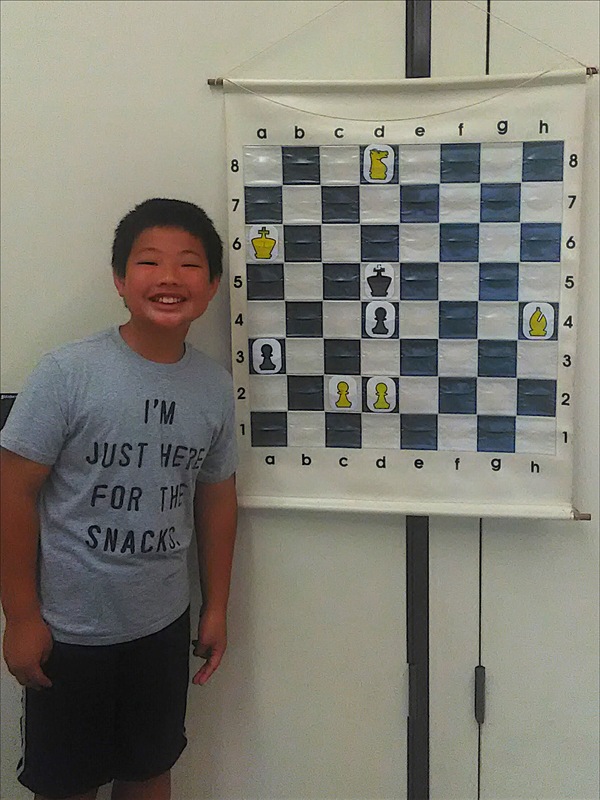 Second grader Stephen He (rated only 925) was paired against a 1337 third grader from a top New York team in the last round. Stephen won his game to give MSJE a perfect four point round and a clear first place. We usually do well in the last round and our motto is “MSJE owns the seventh round!” Atul Thirumalai, Shree Jay, and Amulya Harish each scored 3.5 points in the K-3 Championship section. The MSJE team is the 2014 Primary School Chess Champion. 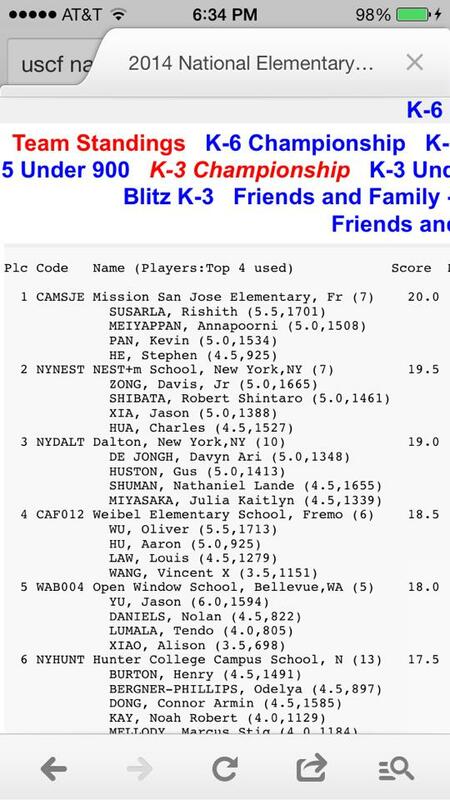 MSJE’s David Pan tied for second place in the k-5 section. David Pan (1839) was the top rated player on our K-5 team and scored a fantastic 6 out of seven points. David tied for second place and won a large trophy. Kavya Sasikumar and Mihir Bhuptani each scored 4 points and Jeffrey Liu scored 3 points in this very tough section. Our K-5 team tied for fourth place in the tournament. Congratulations to the Chess Team for a great result at the National Championships. 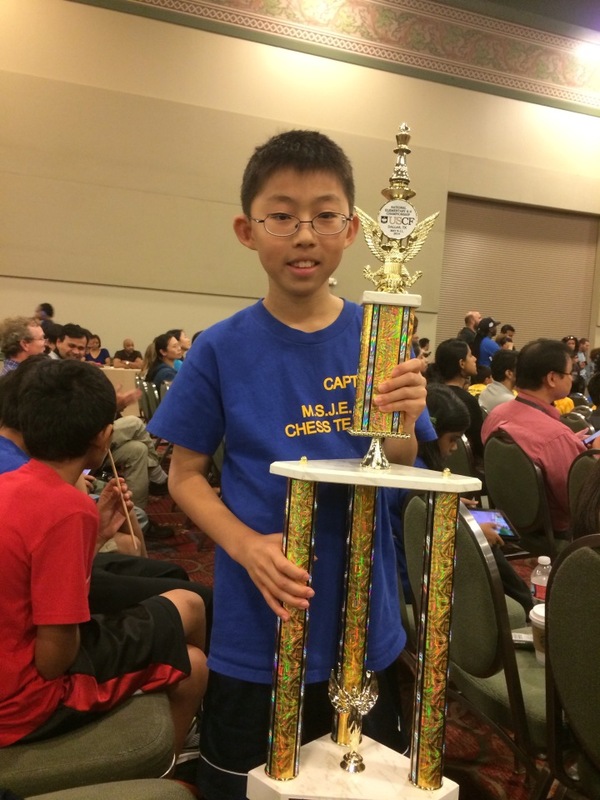 *Former MSJE Student, Joseph Wan, took first place in the k-6 Championship division. 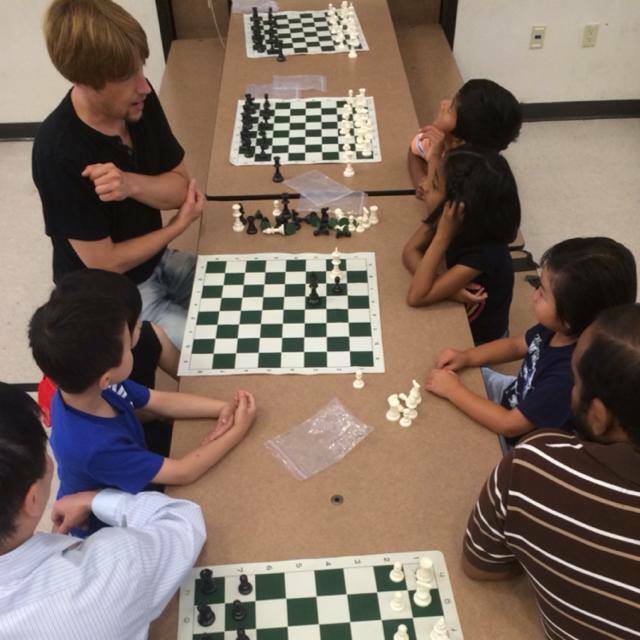 The best chess experiences of a lifetime occur at the Mission San Jose Elementary School Summer Chess Camp. The camp will take place from June 30 through July 24 at MSJE in Fremont, California. 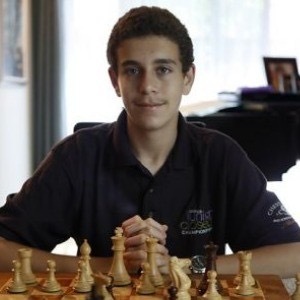 In addition to all the great chess teachers detailed above, the 2014 Summer Chess Camp at MSJE will feature all the other highly accomplished Torres Chess and Music Academy coaches as well as a formidable line up of special guest lecturers. Every child who attends all four weeks will receive a camp T-shirt, a personalized study plan, a follow up private lesson with a Torres Chess and Music Academy instructor, and a diploma presented by Susan Polgar. All school aged chess players are welcomed to sign up but this camp is expected to fill up quickly. 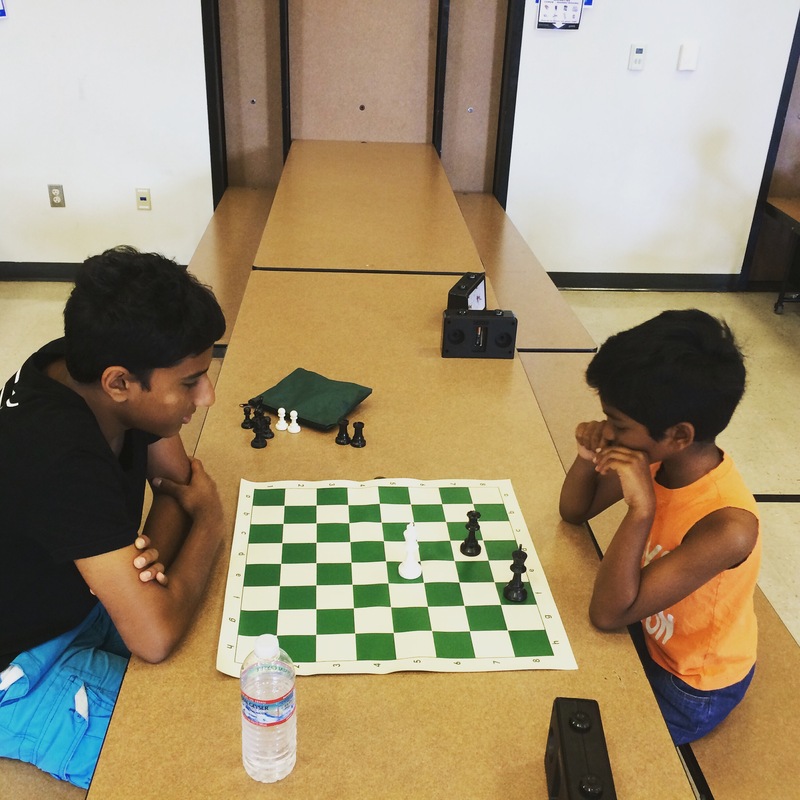 Sign up today to avoid missing out on all the chess magic the worlds best chess coaches bring to the Mission San Jose Summer Chess Camp in Fremont, California. This month’s chess combination comes from a nice win I had over “Flash,” the number two ranked player on VelocityChess.com. Each Month I will select one combination that I played in a real game to examine in detail for the benefit of my students and readers. When it is your turn, the first thing you should do is examine all checks, captures and threats. In this position, we have one check-capture, four checks, three captures and several more threatening moves. If you take the time to identify all these possibilities and run through any automatic or nearly automatic replies, you will automatically begin to spot brilliant tactical combinations. It’s that easy! I chose to play Nc4+! This is precisely the kind of move you might miss if you do not force yourself to examine all checks without regard to how silly the move may seem at first glance. 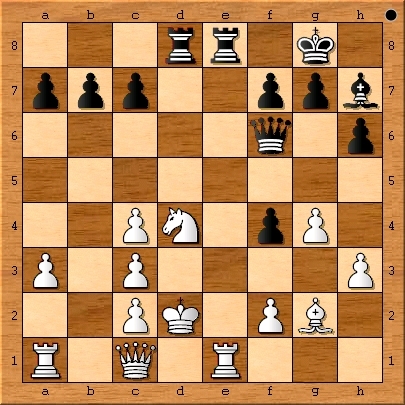 But as you can see, Black is still crushing white. So, in a sense, Flash did us a little favor by simplifying the result into a nice and neat mating attack. I played Ra-d8+. 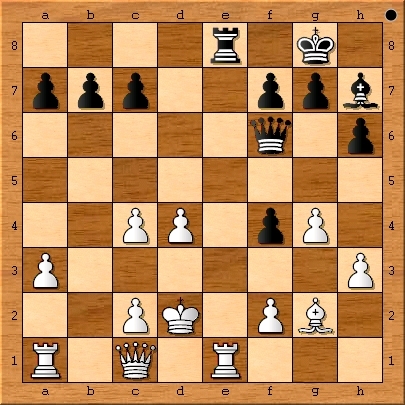 This develops the unemployed rook with a threat. White’s move of Nd4 is forced. Now examine all of the checks, captures and threats again. cxd4 is a forced response. 1. e4 e5 2. 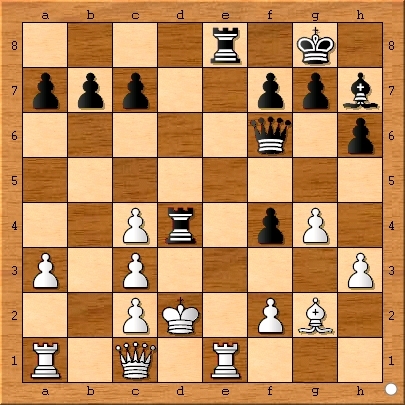 Nf3 d5 3. exd5 Bd6 4. Qe2 Nf6 5. Nc3 O-O 6. d3 h6 7. Be3 Bb4 8. Bh7 15. Bxf4 exf4+ 16. Kd2 Nc6 17. Bg2 Qf6 18. Re1 Na5 19. Qc1 Nc4+ 20. 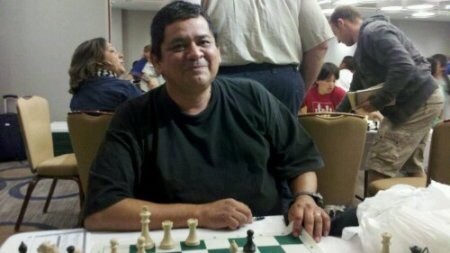 Chris Torres is NorCal’s most popular chess coach. 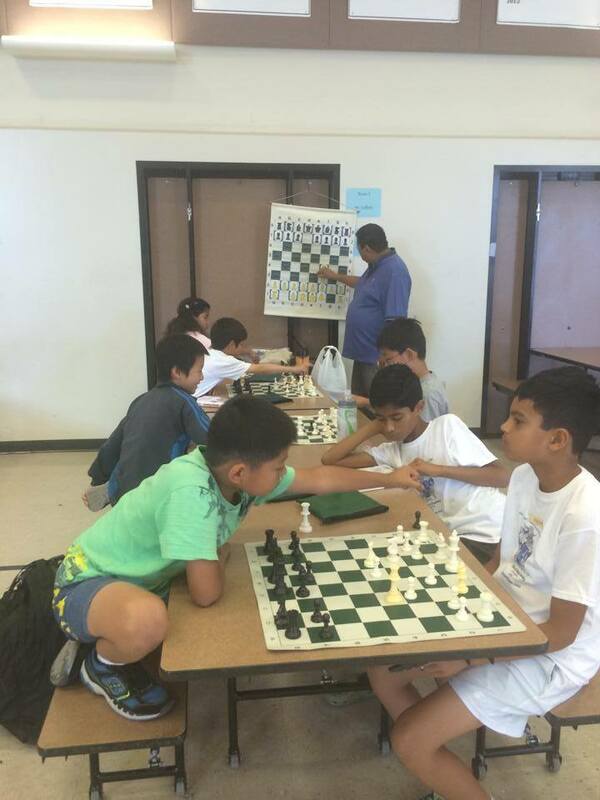 Chris Torres will be teaching with Susan Polgar and many other great instructors at the 2014 Fremont Summer Chess Camp at Mission San Jose Elementary School. Sign up today!